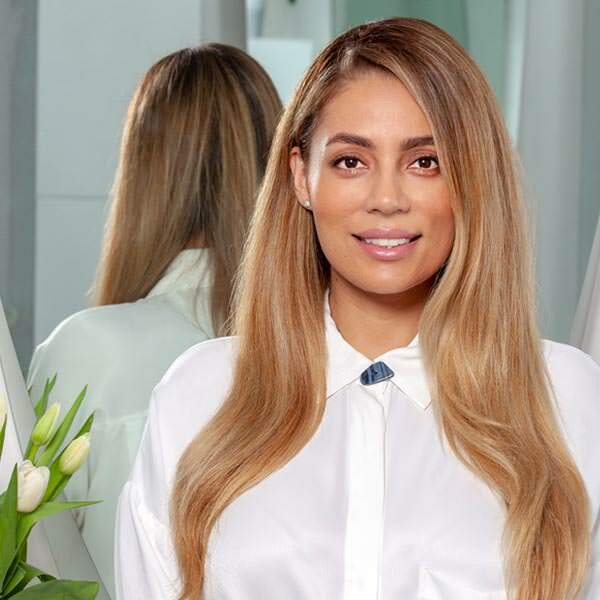 Los Angeles based hairstylist, Lorena Soria, first made Ramos Carreon Salon her home when she landed an apprenticeship with celebrity hairstylist Robert Ramos. Under Robert’s mentorship, Lorena had the privilege of working with elite Hollywood stars Jessica Alba, Eva Mendes, Melissa McCarthy and Kelly Clarkson. Assisting Robert for over two years not only at the salon, but also at editorial photo shoots and red carpet events, enabled Lorena to gain unparalleled experience in the entertainment industry. Lorena thrives on creative growth; it is her passion to continuously expand her education in fashion and beauty in order to stay on top of current trends. As a colorist, hairstylist and hair cutting she specializes in all different hair types achieving variations of blondes with her exceptional foil and balayage technique. With the ability to successfully turn brunettes into natural looking beach blondes, Lorena has earned the reputation of transforming hair color while preserving the integrity of her clients’ beautiful locks.